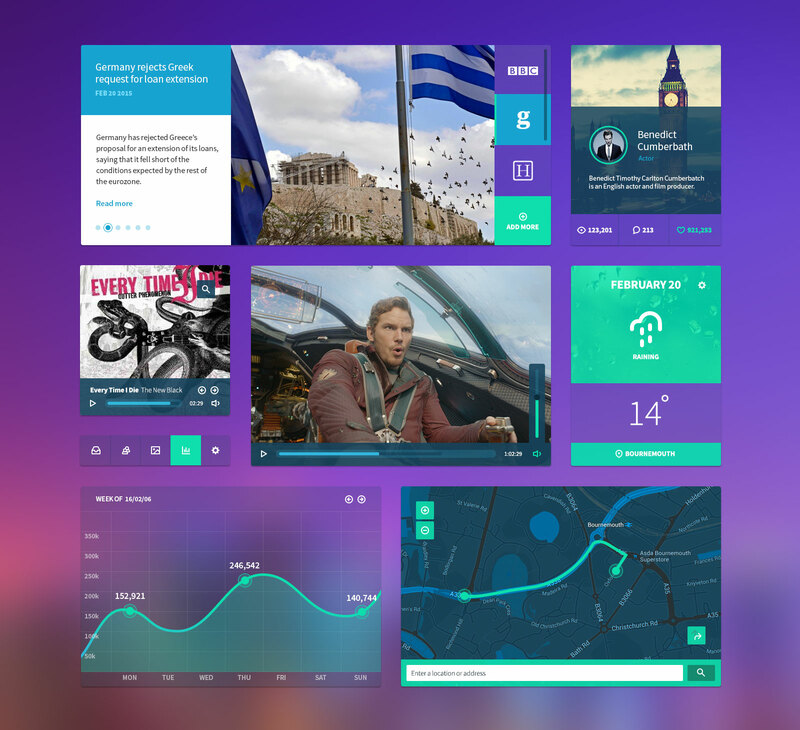 Isn’t it true that designers love UI kits? Sure! And do you know why is that? I’ll tell you. Because thise User Interface kits inspire us, help us get some fresh ideas and also give us some good references on color palette, shapes, elements disposition and a bunch of other details. When we need to create mobile layouts or even desktop layouts we face a wide range of UI and UX Design aspects of the projects. User Interface and User Experience are key elements to achieve success with some app and website. To learn the best practices is essential for those who want to develop successful interfaces and have the best interaction between user and app/website and finally convert more. 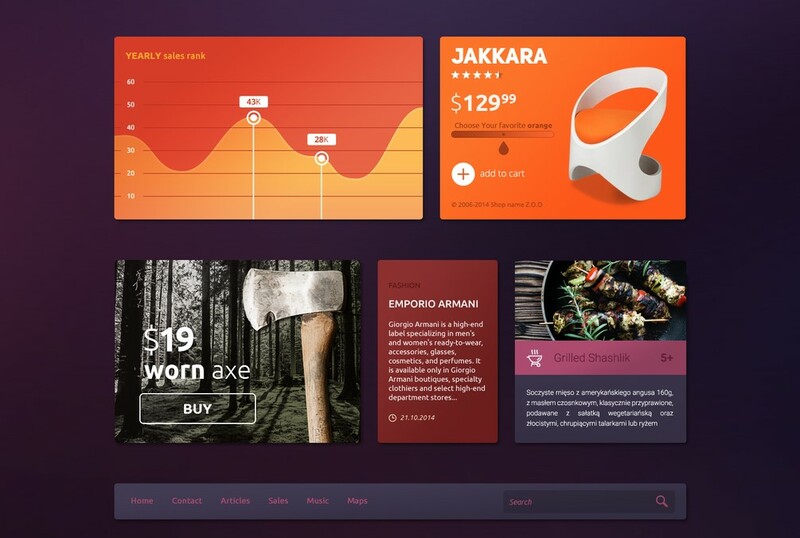 Inside UI Design we have the common king: Flat Design that took over the web becoming extremely popular in a matter of few years. Two years ago, people were talking about the Metro interface and the Microsoft strategy that few people considered as a successful tool. 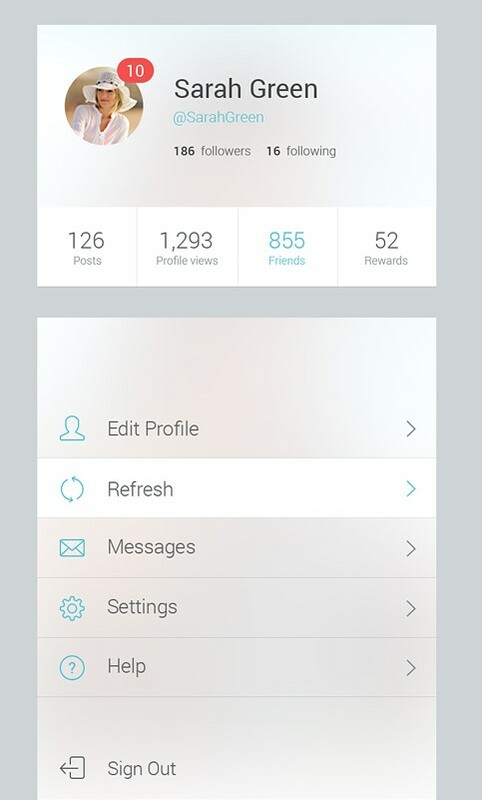 But, bringing this interface to the web and naming it by Flat Design was a nice move and we can see the results now. Flat designs are still a trend and influence many companies to rebrand their websites and brand identity. But let’s say we are glad that this is not the only trend and options among the inspirations. That’s why I have selected 10 Free UI Kits that will help you with references and ideas for your next projects, be flat or not, these UI kits are really awesome and easy to edit and use. As I mentioned Flat Design and Microsoft history, I’ll start the list with this Flat UI Kit – Framework and Bootstrap Theme Design from Designmodo. Its simplicity and design is very elegant and by impressing a lot of viewers this kit was downloaded a lot of times. That’s why people notice that there are flat Designmodo elements all over the internet. Its originality (keep in mind it was one of the first flat kits on the web) and also his quality, of course, calls everyone’s attention. You will find in this package buttons and icons, glyphs, color samples and typography examples. This is all for free. However, if you would like to upgrade to a Pro Kit, Designmodo has an offer for you too. A UI Kit with an elegant and clean look on the elements, this kit is related to events and organization. 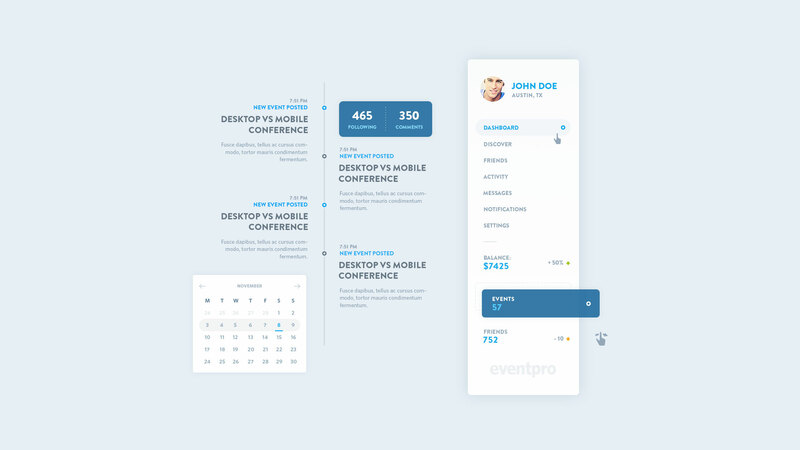 Simple – yet powerful – user controls, EventPro allows users to Pin content, manage items, track balances, gather statistics and makes it easy to keep track of your ticket sales, your users and their interactions with your upcoming event. 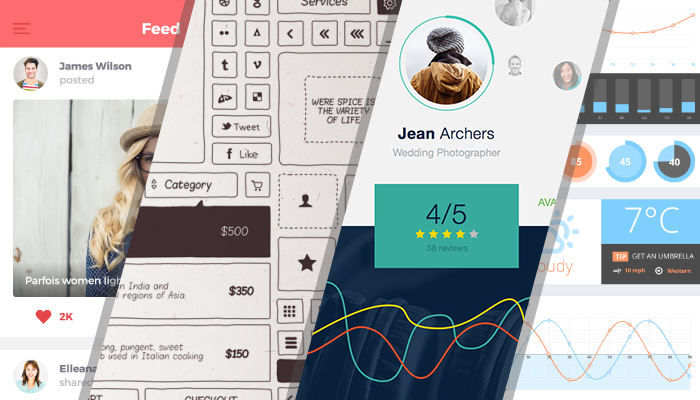 With over 300 exclusive prototyping elements, this is a Freehand UI Kit that is very complete. There are high-quality icons, that everybody loves and a set of hand-crafted icons for mockups as well. 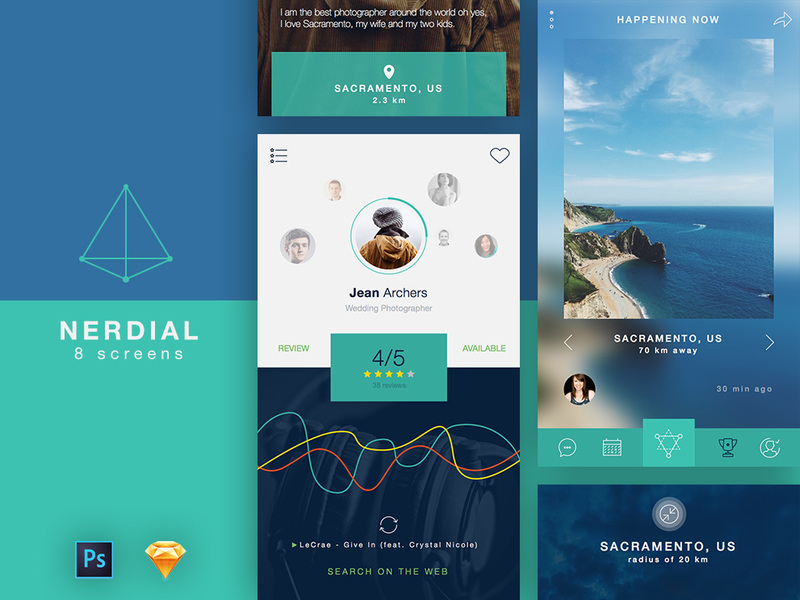 Nerdial App UI was projected with the current trends like thin lines and big pictures, flat colors, transparent shapes and defined icons. This 8-screen kit comes with a Photoshop and Sketch version. This app is for personal use, commercial and non-commercial organization, to sell and/or share your accessories and wardrobe. It’s very simple and minimalist for the end user. This Kit is very diverse. 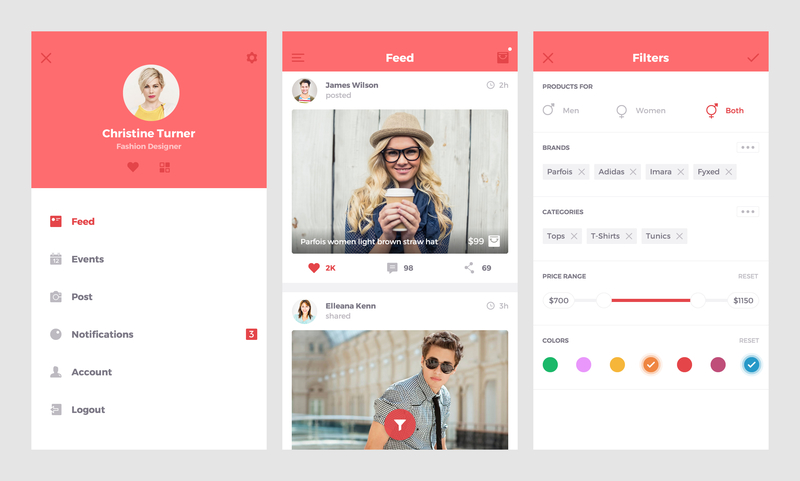 Colored flat and simple UI Kit released on Dribbble. In the PSD file, you will find common elements such as video player, buttons, graphics and statistics, social and text elements. 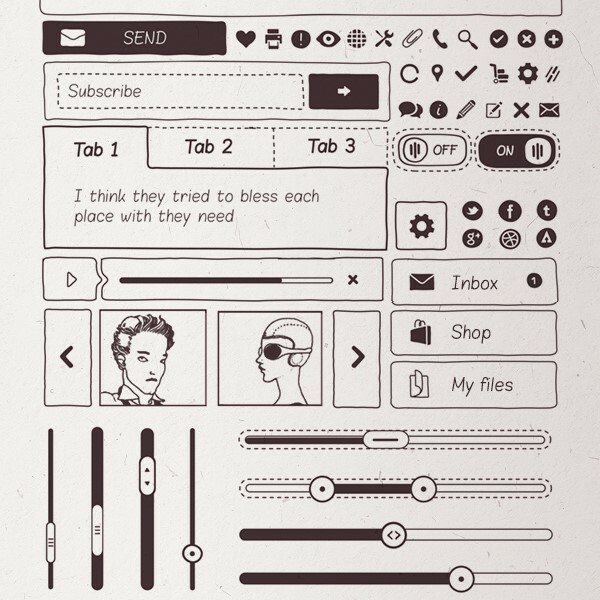 Components of the User interface where the concept of apps was based on the iOS design. All the elements are vectorial shapes totally editable included in a unique PSD file which is very well organized. 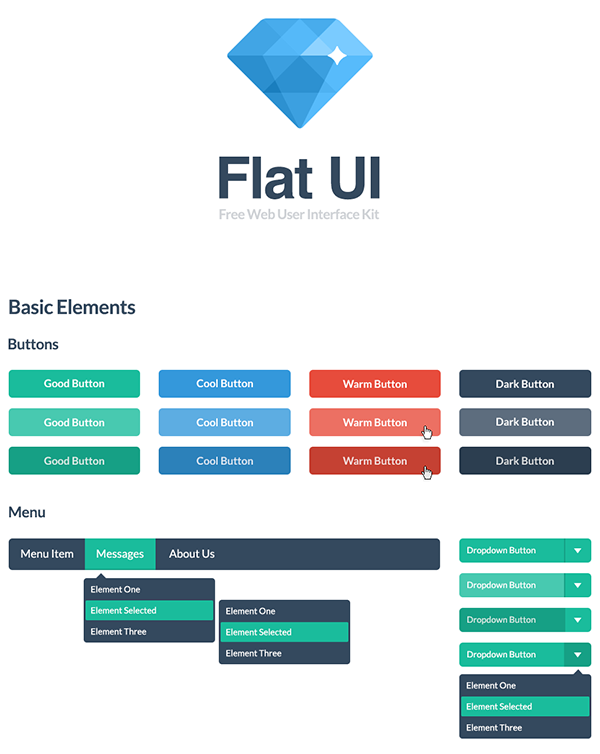 UI components based on iOS 7 visual guidelines. All elements are completely editable vector shapes, included in a single PSD file. 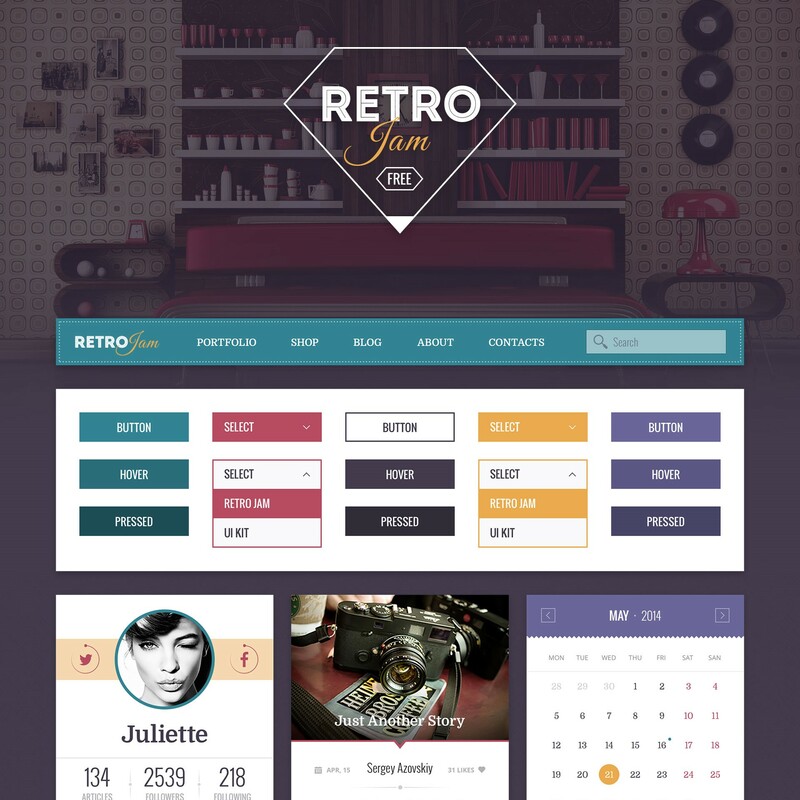 Retro style is still a strong trend in graphic design and Retro Jam inspires follows this trend. There are two versions, the smaller that is free and the paid one. 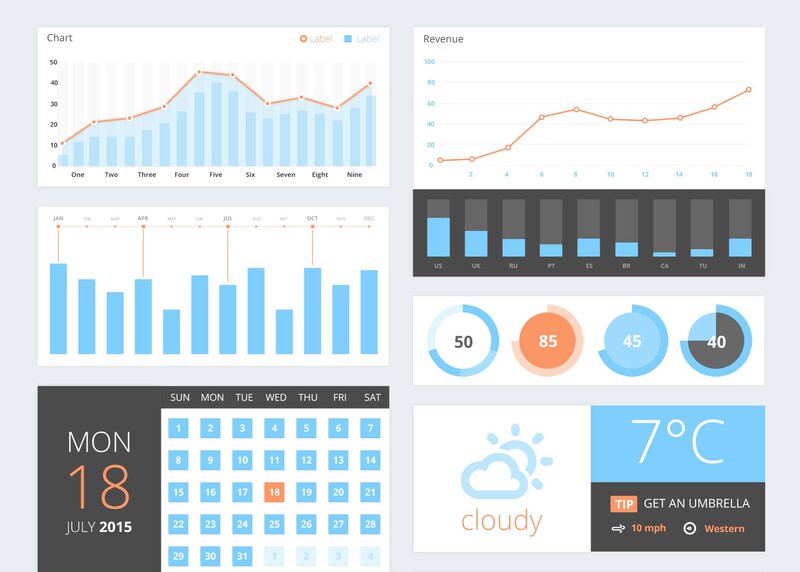 This kit is all about 3D charts and graphics but there are other UI components. All the components are vectors and fully editable. You can easily plug them into your dashboards or mobile app designs. This kit has a modern style and its main focus is on color and vivacity in graphs, buttons, icons and other components. This post was written Luanna Hedler, a writer who is passionate about design, marketing, and the Web. She is a content writer who loves to spread the power of Freebies.